Jim Benson's TV Time Machine Get in touch and email! Host Jim Benson interviews directors Guillermo Del Toro and Jeannot Szwarc in part two of this tribute to the classic horror series, Rod Serling’s Night Gallery. 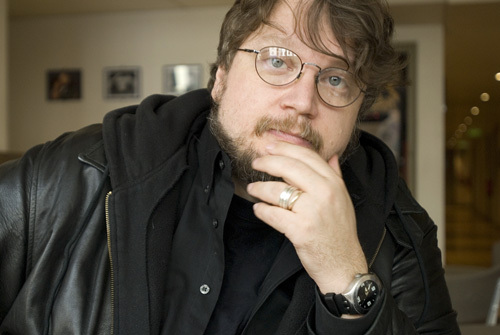 Jim Benson and Guillermo Del Toro not only honor the classic 1970’s horror anthology, but the work and career of director Jeannot Szwarc. 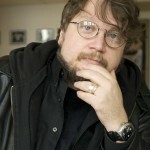 Guillermo Del Toro is one of the industry’s top film directors, helming the Academy Award-winning Pan’s Labyrinth and the upcoming Frankenstein movie. A lifelong fan of the series, Mr. Del Toro’s audio commentary can be heard in the DVD release of Rod Serling’s Night Gallery Season Two. Night Gallery’s most prolific director, Jeannot Szwarc was responsible for many of the finest episodes of the series, including the classic segment, The Caterpillar-hailed by Stephen King as the most frightening TV episode ever. He also directed the classic fantasy film Somewhere in Time and dozens of TV series including Kojak, Columbo and Heroes. In this segment, host Jim Benson and directors Guillermo Del Toro and Jeannot Szwarc talk about the Night Gallery episode Class of ’99, and how Szwarc’s direction of that episode caught the attention of Rod Serling. Del Toro also talks about the importance of production designer Joe Alves to the series, and the classic H.P. Lovecraft tale directed by Jeannot entitled, Cool Air. Copyright © 2019 TV Time Machine. All rights reserved.